There are any number of good reasons to can meat. For one thing, doing so can save a lot of future cooking (for those times when you need to prepare a meal in a hurry), and it’s also a practical solution to the “overstuffed freezer” problem (which faced the author of the accompanying sidebar). Many people, though, hesitate to go this route, because they think it might be dangerous. However, that simply isn’t so. 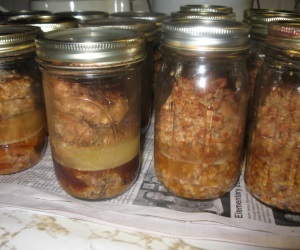 Canning meat is as safe as is processing any other low-acid food in the same manner. You just have to follow the correct procedures. Of all the foods I can every year, the most useful is the wide variety of meats. While we aren’t huge meat eaters, these rows and rows of jars of all sizes form the base of many meals throughout the year. And in our hurry-scurry world, it’s so convenient to have this pre-cooked, tender, and oh-so-tasty meat right on the shelves, ready to quickly whip up a meal that tastes like I spent hours preparing it. At any one time, you’ll find jars of venison, moose, and elk meat, chicken, turkey, beef, ground meat, pork, and fish on my shelves. Two of the best things is that this meat was cheap (hunted, home-raised, or on sale) and it’s so fast and easy to can. I am able to ready over a dozen meals’ worth of meat in less than an hour. This is about the same amount of time it takes to prep and cook raw meat, and I have so many extra, ready-to-heat meals on my shelves. Sure, you can freeze meat, as most people today do. But when you need that meat, you must either take hours to defrost it or use a microwave. Your meat can get buried with other things so long that it can become freezer burned, which gives the meat a bad smell and taste. When your meat is canned, it is all lined up in order and you can choose big chunks, steaks, slices or dices at a glance. 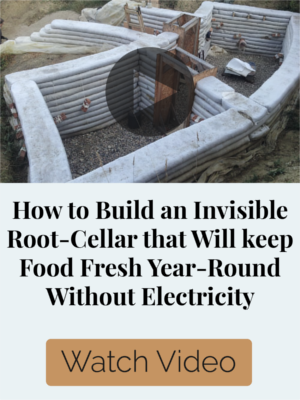 Last of all, and perhaps most important is that in a power outage of a week or more, you will lose all of the meat in your freezer unless you can somehow either keep it cold or move it all to another freezer somewhere outside of the outage area. I lost a big freezer full during an outage. I did all the right things; I covered it with heavy quilts, didn’t open it much, etc. But after several days, I was about to lose food, so I began canning on my wood range. I did save a lot of the most important food, but still had buckets that had to be carried to the dogs and pigs. It was a sad time to see all that good food that we had worked so hard to raise and put up, get tossed away. I swore “never again” and began canning and dehydrating all my food instead of freezing it. As a bonus, your own home-canned meat contains nothing but what you put in with it: meat, water, and possibly salt and spices. After all, who can feel good about eating something you can’t even pronounce? Then there are the “hidden” ingredients in that store-bought canned meat—hormones, antibiotics, genetically-altered feed, bacteria, and mystery ingredients from sloppily processed meat. But, you’ve heard, meat is hard to home can. You must be an expert to even think of trying it. If you do, you might poison your family. In reality, meat is very easy to can safely. If you have a pressure canner and can read directions, you can definitely do it. David, my sixteen year old son, has been helping me can meat since he was ten. 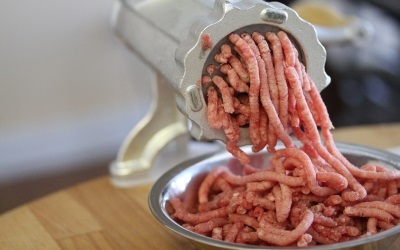 Because meat is a low-acid food, it must be processed in a pressure canner. This allows the meat to be heated at a temperature higher than boiling, which kills the dangerous bacteria that could cause food poisoning or illness. In a pressure canner, the steam causes the internal temperature to rise to 240° F, which is a safe temperature to process low acid food. A simple boiling water bath canner only heats the food to boiling, which is 180° F. This does not allow the food to reach a high enough temperature to kill possible bacteria, no matter how long you process the food. 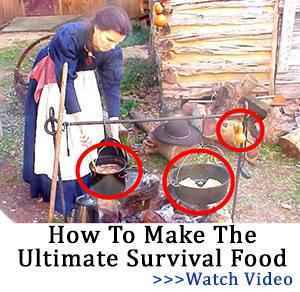 Yes, in the “old days” people did can meat in a boiling water bath for 3 hours, but this was NEVER SAFE and people always risked food poisoning by doing this. You must use a pressure canner to home can meat. 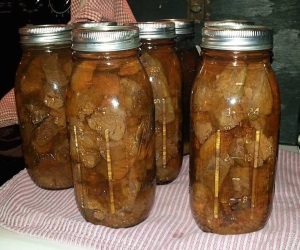 Meat may be canned in quarts, pints, or half-pint jars. I usually do some in each size. In the past, I usually canned in quarts, but then I always had leftovers which needed to be refrigerated. Then I got smart and started canning in smaller jars. Now there is no waste, and I find that I actually turn to those smaller jars very often. 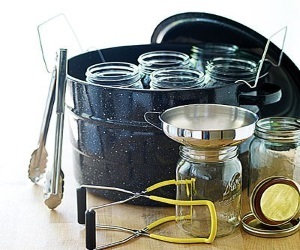 There has been a huge, ongoing debate for years and years about using “other” than Kerr and Mason jars for home canning. Some folks claim stridently that if you use jars that once held salsa or mayonnaise they’ll crack and break under pressure. But I can tell you that is not true. I’ve used hundreds of jars that were previously used for mayo, salsa, pickles, and more, for canning meat and other foods that must be pressure canned and those jars work just fine. Just make sure that a standard two-piece canning jar lid and ring fit the jar snugly. A major mayonnaise manufacturer uses jars that look like canning jars and the ring screws down, but when you add the lid, the ring just goes round and round, never tightening. Watch out for this. When canning meat, it’s a good idea to have a jar lifter, which is an inexpensive heavy wire tong that grasps steaming hot jars and lets you lift them out of the canner when the processing time is done. We’ve all heard the horror stories about a steam pressure canner “blowing up” in Aunt Mary’s kitchen, putting a hole in her ceiling. What they don’t tell you is that Aunt Mary screwed up badly. It’s just about impossible to blow up a modern pressure canner, but there are a few tips that will keep the process safe. First, do not let any small children play around the stove when the canner is processing. This is just common sense. Canners are heavy and hot. Small children are curious and could pull the canner off the stove or turn the flame up under the canner without you noticing it. When you are canning, don’t get distracted. You have to be right there to watch the canner during the processing time. Sometimes it only takes a very few minutes for the pressure to go from a nice ten pounds to a wild fifteen. Even then, there is a safety on modern canners that lets off excess steam, if necessary, but don’t depend on that. Sometimes it will ruin the seals on your jars, going from a high pressure to a sudden drop. You don’t want to have all your work ruined. If your canner has a dial gauge, make sure it is accurate. It’s best to take it to your extension office to have it checked before each canning season, especially if the canner is not new. Make sure the vent holes in the canner’s lid are open. I blow through mine each time I go to use it, to make absolutely sure the openings are clear. Sometimes a small bit of food gets forced up into the openings, blocking them. 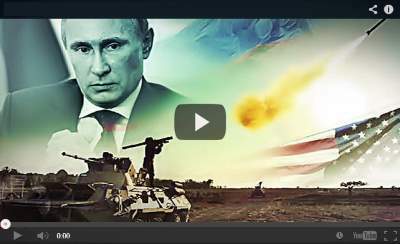 This is dangerous and could cause extreme pressure to build up. Read your canning manual each and every time you process a jar of meat. There are many variables, depending on the recipe and preparation of the meat. I’ve been canning since 1964, and every time I begin to process a food, I check my canning manual, just to be sure. No one is perfect and I don’t want to make a mistake. Meat is too precious, and so is the health and safety of my family. Let’s start with the very easiest meat to home can: stew meat. 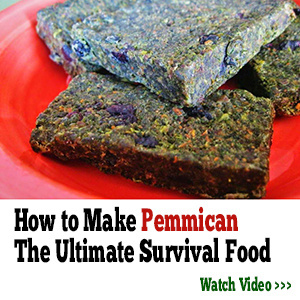 This can be beef or venison, including moose and elk meat. I put by more stewing meat than any other type of meat, besides ground. 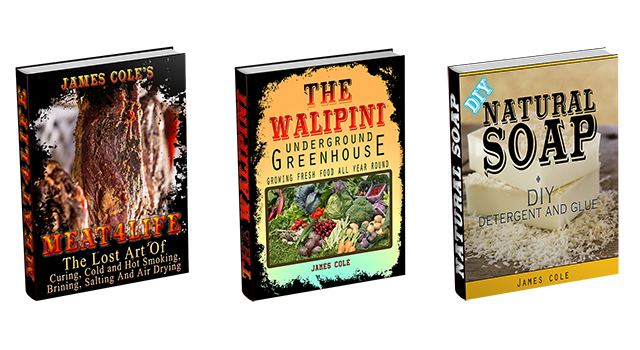 The reason for this is that I can use it for such a wide variety of recipes, from shredded meat for tamales and barbecue, to stews, chunky chili, and casseroles. I like to cut my meat when it is slightly frozen. This makes it firm and it cuts easily and quickly. 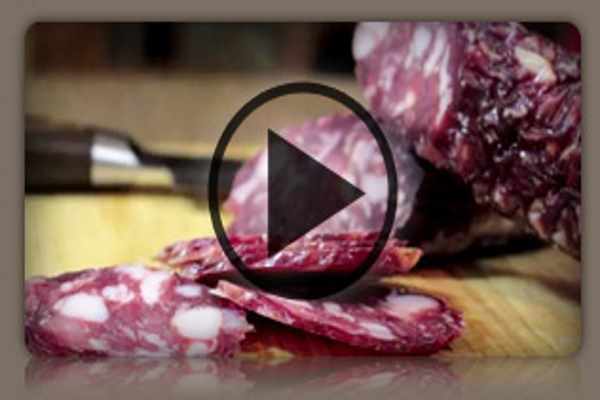 Warm meat or even chilled meat is harder to slice than meat that has some ice crystals in it. To make stew meat, cut the meat across the grain, into one inch thick slices, as if you were making large steaks. You don’t have to cut the bone, just cut around it. 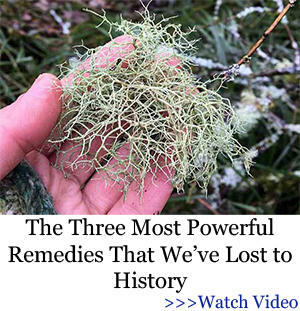 Remove as much fat, gristle, and white muscle covering as you can. 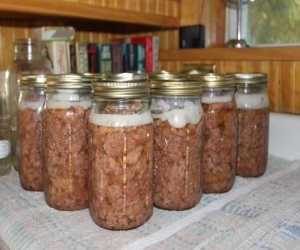 You want your home canned meat to be prime eating, and if you leave too much fat on the meat, you run the risk of having some jars not seal because the fat gets between the lid and rim of the jar during processing. Slice the meat into strips, then cut it into cubes. Put the meat into a large mixing bowl and the scraps into another. When you have a large amount, get out your canning jars and line them up on a folded clean towel on the table. Make sure there are no cracks or nicks in the rims of the jars. Then get out a box or two of lids, so you make sure you have them ready. Also find your jar rings and jar lifter. Set the pressure canner on the stove and put two inches of water in it, then the basket or bottom grate, depending on the brand of canner you are using. 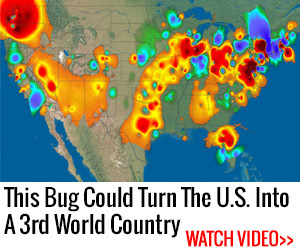 Now get out your largest frying pan and put a tablespoonful of cooking oil in it and turn up the heat to medium. Add your meat until you have enough to fill the pan so the cubes are about two high. The reason you need to brown and partially cook the meat is twofold; it shrinks it, while adding flavor, and it heats the meat, getting it ready to process safely. Season as you wish and stir until the meat is just browning. Turn on the heat under your canner, leaving it open. Then place your canning lids in a small saucepan full of water and turn on the heat. Bring to simmering, then hold the lids in the hot water until you need them. Now, with a slotted spoon, scoop up the meat and pack into your jars, to within an inch of the top of the jar. This leaves an inch of headspace. After all the jars have been packed, add enough water to the frying pan to make a broth to fill your jars. I sometimes add powdered beef soup stock to this broth to make it more “beefy” tasting. This is not necessary, though. When the broth is boiling, ladle it out and pour it into each jar, filling it to within an inch of the top of the jar. Wipe the rim of each jar quickly with a clean damp cloth to remove any grease or meat particles. Place your hot, previously simmered lid on the jar and screw down the ring firmly tight. 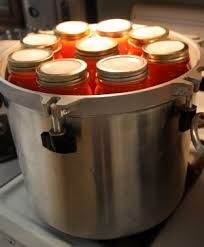 Place the hot jars into your hot canner, being careful not to bang them together. When all your jars have been placed in the canner, put on the lid and tighten it down. Leave the pressure weight off or leave the petcock(s) open, depending on the brand of canner you are using. Turn up the heat under the canner. You must let the canner heat up and exhaust steam. This generally takes about ten minutes, although it can take longer when you have many jars in it. You want the steam to be exhausting forcibly, not just puttering out in little spurts and spits. Pints and half-pints of pork, beef and venison, including moose and elk meat, should be processed for 75 minutes, and quarts must be processed for 90 minutes. When the time for processing the meat is up, immediately turn off the heat under the canner or remove the canner from the heat. Let the pressure gauge return to zero or when using a weight gauge, let the canner cool for about 10 minutes, then gently nudge the weight. If it is still under pressure, a little spurt of steam will escape. If this happens, let it cool more. When no steam spurts out, remove the weight and open the canner carefully. Use caution when lifting the canner lid, as there is always more steam in it that will escape right into your face unless you’re careful. Immediately lift out the jars with your jar lifter, and set them on a dry, folded towel out of any drafts. Setting a hot jar in a draft can cause cracking or a failed seal. Keep the jars an inch or two apart to allow for quick and thorough cooling, as this helps the jars to seal well. re-process unsealed jars right away, using a new hot, previously simmered lid. Inspect any jar that doesn’t seal for a tiny crack in the rim of the jar, often this is the reason they don’t seal.